I had a great time buying my new Toyota Camry hybrid. The sales person, manager, and the financial person were all helpful, efficient, and easy to deal with. My sales person was Roy Trumbly. In addition to helping me get a good deal he did something far beyond. The day I was supposed to pick up my new car I broke my wrist, and it required surgery and a hospital stay. He delivered my car to my home for me. If I could give a million stars, I would. I'm beyond impressed with the service I received all thanks to service advisor, Aaron M.
The hood release cable on my scion busted and of course, my low oil light started creeping on during sharp turns. I spent the last week recruiting all the people and available auto shops I could get a hold of to fix the thing- no one could do it. Shops would asks for full days to see if they could get it open to no avail. Getting desperate, I figured the dealership would be my best (and now knowing I should have just gone here in the first place). I called and spoke with Jason I believe who understood my urgent situation and said he could squeeze me in that day after work to see what could be done. I came in and spoke with Aaron who would be helping me with my issue from here on. Aaron somehow got the hood open in 5 MINUTES. This alone would have gotten a happy customer (yay- oil for my car!) but it's everything he did beyond this that left me blown away. Aaron made magic happen to order the part, squeeze me in an already tight schedule, all while helping other cases in between. The multi-tasking was a thing of beauty! Not only this but Aaron understood that I couldn't miss anymore days at work because of this issue. In the midst of his multi-tasking, he called hertz and arranged a rental at a low price that would be available immediately. Came back exactly 24 hours later and my oil was changed and my hood will now open without me hyperventilating (remembering that everyone else saw this as the problem that just could not be solved). Not only did Aaron (with the help of his team I'm sure), help me with my problem but the entire attitude and vibe was great. Everyone seemed laid back but happy to help while considering the customers specific needs. Honestly, give this guy a raise. Even if he just got one. You don't want to lose this guy because coming from someone who previously didn't see the need to have loyalty to Toyota's dealership; you now have a customer for life. I would like to start this review by saying that I absolutely hate car shopping. I find it anxiety provoking due to the inevitable high pressure sales tactics and seemingly inherent dishonesty that I've found to be the hallmark of this industry. Unfortunately, after basically driving the wheels off my wife's Impala- it was time to replace it & I had to buck up and deal with my distaste. We live in Chico. Midsummer we went to our in town Chevy dealer.....just....a horrible experience- one that I'm not going to go into the details of. I will say I've walked out on lots plenty of times due to blatantly manipulative behavior, and that time was no different. Due to this experience, we waited a bit longer...until I thought the aforementioned vehicle was on the verge of spontaneously combusting in our driveway. On a whim we decided to check out this dealership. I am SO GLAD we did! Within moments of parking we were approached by a salesman- "here we go" I thought "the non stop onslaught of 'just buy it and get off my lot' strategies are about to begin." Couldn't have been more wrong, the fella we dealt with, "Nick"- was a fantastic guy! Funny, laid back- obviously he wanted to sell us a car BUT he made it perfectly clear that he 1. wanted us to be happy with it, and 2. that he didn't want to push or pressure us into making a decision that wasn't completely our own. He was respectful of us- immediately there when we needed him or had a question, out of site to let us peacefully shop & enjoy the experience when we didn't. If we had a question he either answered it or immediately had the integrity to tell us he didn't know-BUT then made sure to find out for me- that kind of work ethic is in short supply these days! I can honestly say I have NEVER had a good time car shopping before, but Nick- you made it happen! THANK YOU!! We did end up buying a beautiful Equinox from him, and we found Shelly in the finance office to be every bit as wonderful to talk to as he was. Please, give these folks your business, they are fair, honest, & will take care of you. I would say this was the best car buying experience I've had. Nicholas Vierra was knowledgeable, respectful, and wasn't pushy, I understood our needs and helped us get in the car we wanted. Great job Oroville Dam Auto Center! I live in Chico and was in the market for a new Toyota. After reading the Yelp reviews for Chuck Patterson, I decided to give Oroville Toyota a try. I'm glad I did. They were very pleasant to work with. Nick Vierra was a great salesman. They located the truck I wanted and promptly had it delivered and ready to go. I would highly recommend making the drive to Oroville instead of dealing in Chico for a new Toyota. We are from the Bay Area and had been searching for the right vehicle for our family. Dealing with the amazing Internet Sales team was so stress free! Michael Tucker is Their Internet Sales Manager and took the hassle out of purchasing a new car. Everyone at the dealership was upfront and responded quickly to all of my questions. It took me only 90 minutes to purchase our new family vehicle and I couldn't be happier with it and the easy process. During my time at the dealer I dealt with Nick who again was very helpful and super informative throughout the buying process. I would recommend everyone from the Bay Area to drive the extra 2 1/2 hours as it is well worth it! I will definitely be making the trip next time we are in the market for a new car! Thanks Again Michael & Nick! I was really disappointed after going to Chuck Patterson in Chico and thought I might have to go all the way to Roseville to get the car I wanted. Luckily I found Oroville Auto Dam. I have two kids under two so a long drive and then all day in a dealership would be awful. Luckily Michael worked with me via email. He never pressured me and we talked about price before I even came into the dealership. This weekend we happened to end up close to Oroville and decided to stop in and check it out. Michael wasn't in yet, but James was just as helpful and friendly. I got the 4Runner I wanted at a great price and without all the crazy negotiations. Both salesmen I worked with were honest and straightforward. It was so nice working with them and I will definitely return. I had to travel 70 miles to get the best deal on my 2017 Silverado. Roy Trumbly , the salesman from Oro Dam Chevrolet held to the quote I negotiated days before making the trip from Sacramento. 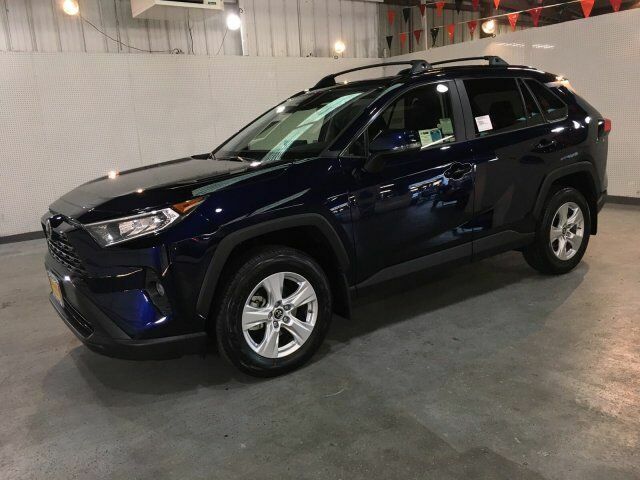 The staff is friendly and very easy to deal with and I would not hesitate to travel there again the next time Im in the market for a vehicle.Thanks Roy! 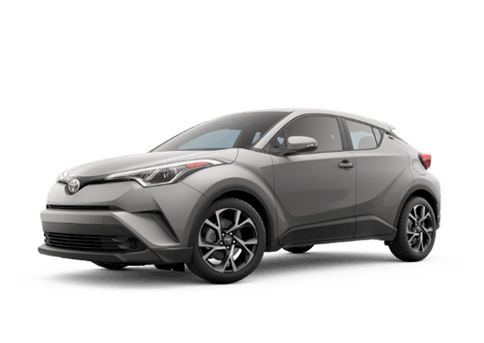 I can't begin to explain how great our experience was with Michael at oroville Toyota. I had a car picked out and after a quick discussion of my needs in a vehicle he knew that wasn't going to be my car. He showed me a 2018 Toyota Corolla. It was perfect! We sat down to talk numbers and I expressed my fears and worry over my credit and down payment. He took such great care of me and we settled on a 2017 Toyota Corolla SE, I got a more car for less! Every step of the process they reassured me and made me feel a little more comfortable. Every one was super nice and understanding of my apprehension. This was my first car buying experience ever and I will definitely be going back when it comes time to purchase a vehicle for my husband.